Our hand crafted artisan soaps are made in small batches using Olive oil (made from certified organic grown olives), Organic Virgin Coconut oil, Organic Canola oil and US Organic Grass Fed Beef Tallow as the base along with a variety of essential, fragrance oils (all are phthalate free), and natural herbs/spices. In our efforts to strive to be a more sustainable and responsible business we have now eliminated palm oil from our products using instead U.S. raised, certified organic beef tallow. We have also transitioned to using all organic base oils in our soaps (ie olive, virgin coconut and canola are now all organic!) and we will strive to continue to utilize locally produced olive oil when possible. We are based out of Scotts Valley, CA about 10 miles inland from the Santa Cruz coast. We live in a thriving artist community here in Santa Cruz county and thoroughly enjoy the cool coastal climate. The name Coastal Scrub is derived from the same term that is used for the native plant community here along the California coast. I am also a professional landscape designer and my husband is a restoration ecologist so the name is very fitting for our business! We now also sell handmade moisturizing Body Butters and lovely re-purposed, magnet snap Gift Boxes. This Body Butter is absolutely AMAZING! It is made with Organic Grass fed Beef Tallow, Organic Virgin Coconut Oil, Organic Virgin Olive oil, Vegetable Glycerine, Vitamin E, Tapioca Starch and essential oils. All of these ingredients are very nourishing and will help your skin feel soft and luxurious! 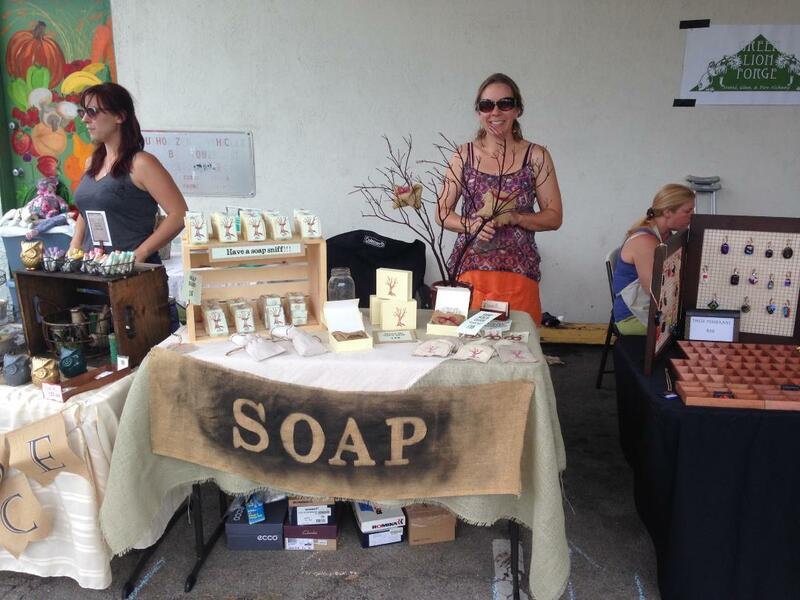 I am now a member of the Handcrafted Soap and Cosmetic Guild!